OPPO F3 Plus Full Specs Leaks! Home / leaks / mobile / oppo / OPPO F3 Plus Full Specs Leaks! Ahead of its official March 23, 2017 launch, the full specs of the next generation OPPO F3 Plus w/ bigger display dual front camera shooters was leaked. 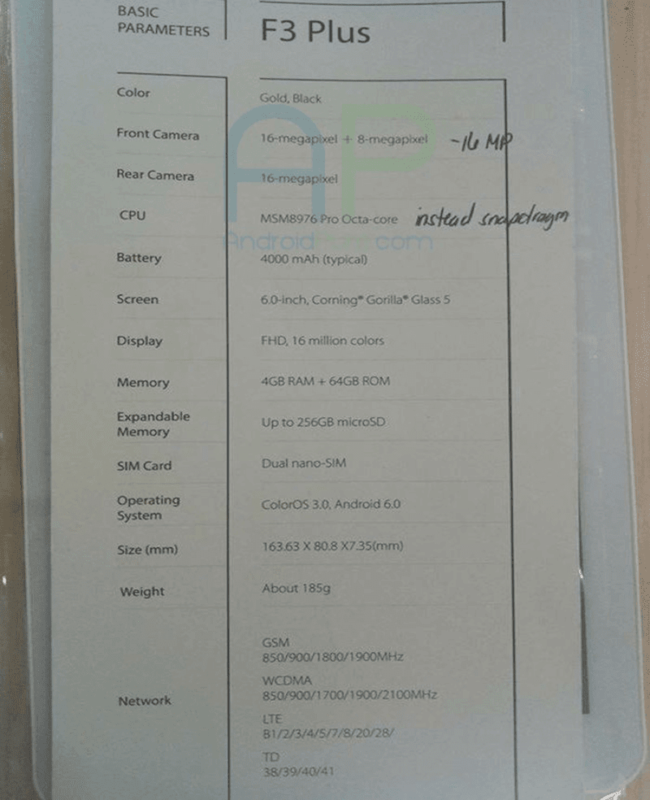 Android Pure managed to get a photograph of the paper containing details regarding the said handset with dual front facing camera. Speaking of those specs, the OPPO F3 Plus is looking to be a solid midrange device. It sports a 6 inch FHD 1080p screen w/ Gorilla Glass 5 protection w/ Qualcomm MSM8976 or the 64 bit Snapdragon 653 octa core processor w/ Adreno 510 graphics. It's paired with 4 GB of RAM, 64 GB of expandable storage up to 256 GB, and HUGE 4,000 mAh of battery capacity. On the camera part, it has a 16 MP main camera at the back. 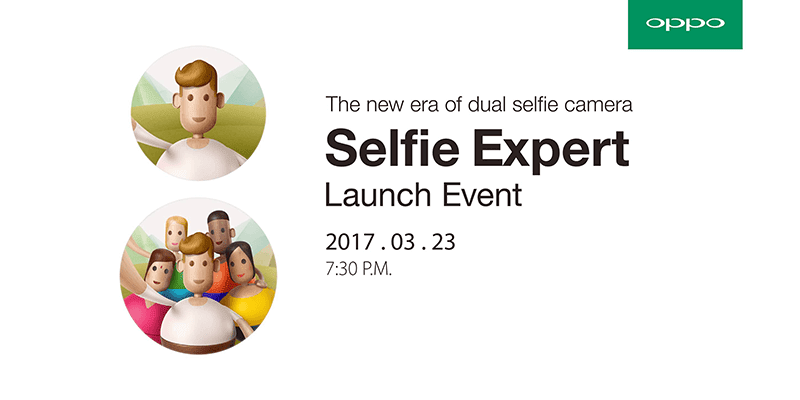 In front, this handset is destined to continue the #SelfieExpert tradition with the inclusion of 16 + 8 MP dual camera sensors in front. We just don't know yet what its dual camera can do, but we suspect that the second sensor is for depth sensing to create beautiful bokeh or blur in front. It supports 4G LTE with bands B1/2/3/4/5/7/8/20/28, dual nano SIM card slots, measures 163.63 x 80.8 x 7.35 mm and weighs 185 grams. The phone boast with Color OS 3.0 based on Android 6.0 Marshmallow OS operating system. We'll confirm the rest of the missing details including the price soon!